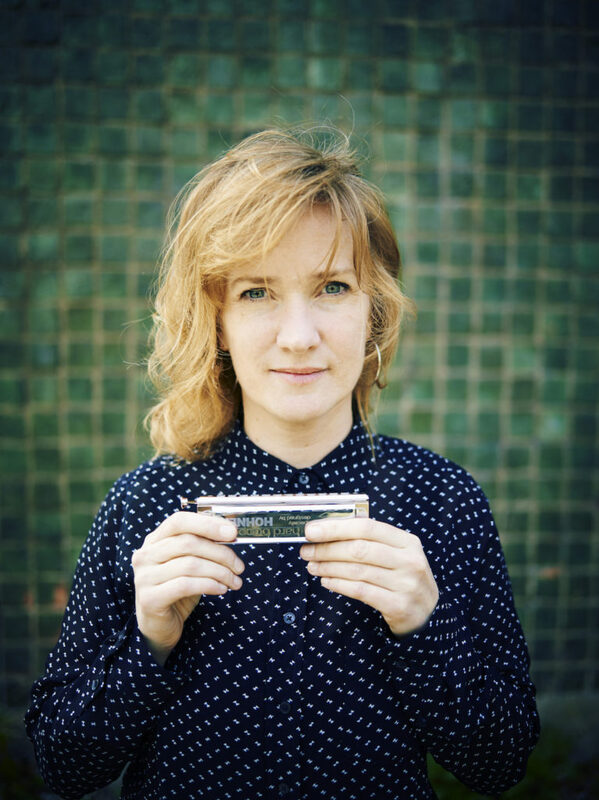 Hermine Deurloo’s approach on the chromatic harmonica is often characterized as a rich and varied sound, with effortless fluency. Hermine studied saxophone at the Amsterdam Conservatory. At the same time, she taught herself to play the harmonica. She has performed all over the world and with musicians such as Jim Black, Han Bennink, Tony Scherr, The Willem Breuker Kollektief, Candy Dulfer, Al Jarreau, and the Metropole Orchestra. Her latest recording Living Here is with pianist and composer Rembrandt Frerichs, cellist Jörg Brinkmann and special guest on drums Jim Black, released on Zennez Records in december 2016. This group did concerts in the Netherlands, Norway, Italy, Egypt and Germany. Previous albums include Welling (2015), which she recorded with jazz string quartet Zapp4, Glass Fish (2012), released by Challenge Records, and Crazy Clock (2005), recorded in New York with bass player/guitarist/vocalist Tony Scherr. Hermine performed in films and commercials like recently for the Los Angeles based filmcomposer Austin Wintory, for a film of Amin Matalqua. She’s a guest solist on many CD’s and playes with a variety of groups, such as with Mathilde Santing and Ronald Snijders. Hermine has appeared on TV many times, in prime time programs such as “Pauw”, “De Wereld Draait Door” and “Jinek”. In 2011, Hermine was interviewed for the daily news item on RAI 3 in Italy.